Henna is a sacred art form practiced in Indian, Middle Eastern & North African countries, mainly by women. Used at marriages and festivals, it is a ritual that is used to invite grace, prosperity and happiness into one’s life and home. 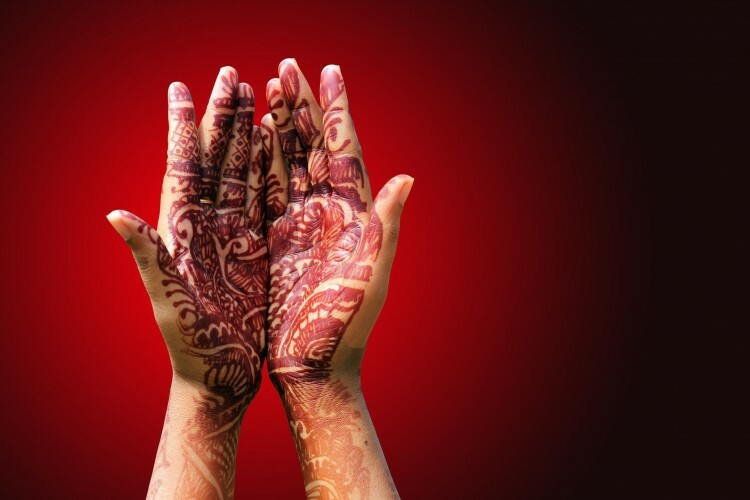 This fascinating and practical workshop explores the history and traditions of this beautiful art form, the health & safety aspects of henna and the meanings of some of the signs & symbols used in different cultures. You’ll learn how to make your own paste and cones, and create beautiful designs. Please bring a small bowl to mix your henna and a jar to take it away in. Pre-booking is essential for this workshop.